There’s something about the traditional trend of checked patterns that just makes me picture happy memories of family picnics in the park on gorgeous sunny days! And now the sun is trying to come out and stay again it’s about time I relived these memories and got myself some outfits. 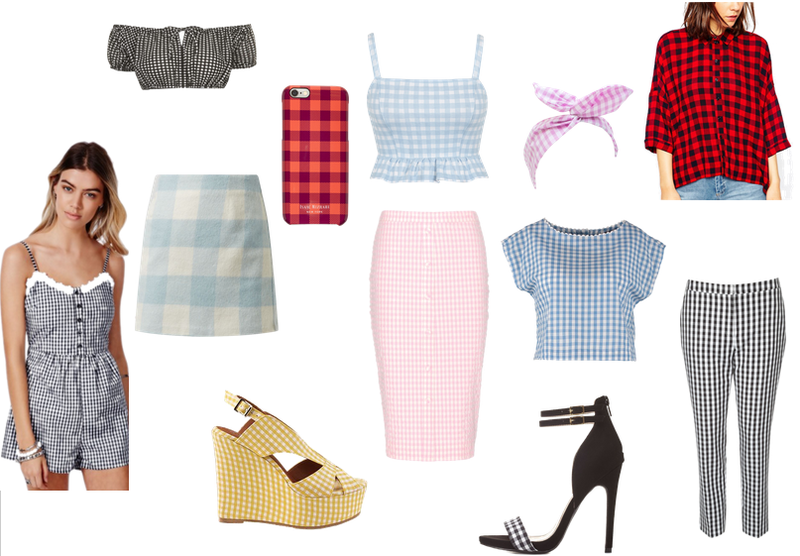 The stylish Gingham print looks fab on any item of clothing, whether it’s a bodycon midi skirt, a beach dress or cute peep-toe sandles. The gorgeous trend doesn’t have to be saved just for a summer time picnic- Pair a checked shirt with denim shorts, a straw hat and you’ve got the cowgirl look to a TEE. You’ll even be ready for a barn dance! The picnic print and cowgirl checks look best with cotton white and denim for days at the beach, chilling in the pub or weekend breaks away. You can even get away with wearing this trendy look to the office- gingham in monochrome looks so classy and chic. 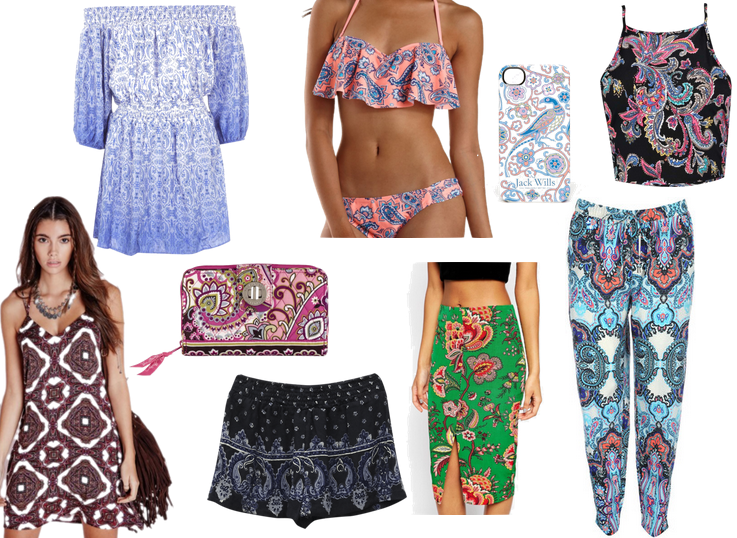 Read my latest post to get you festival-season ready with some Coachella celeb-inspired looks. Need some fashion inspiration for the summer? Read about my latest shopping hauls and sunshine essentials for your paradise getaway, neighbours’ BBQs and coastal breaks. 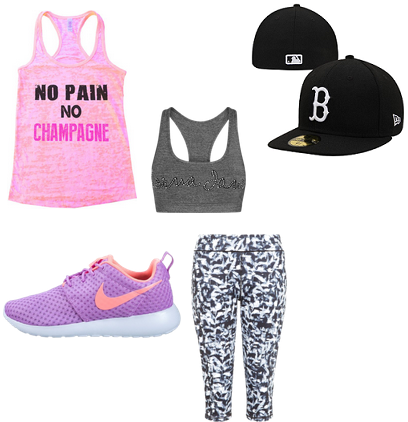 Hope this has given you some inspiration for your summer apparel shop. Happy Friday everyone!!! I am very excited to share with you my first ever book review. As much as I love to read I just never get the time to finish any book off… unless i’m on holiday then I can read a marathon of books because I actually have the time while i’m sunbathing and relaxing in bliss! 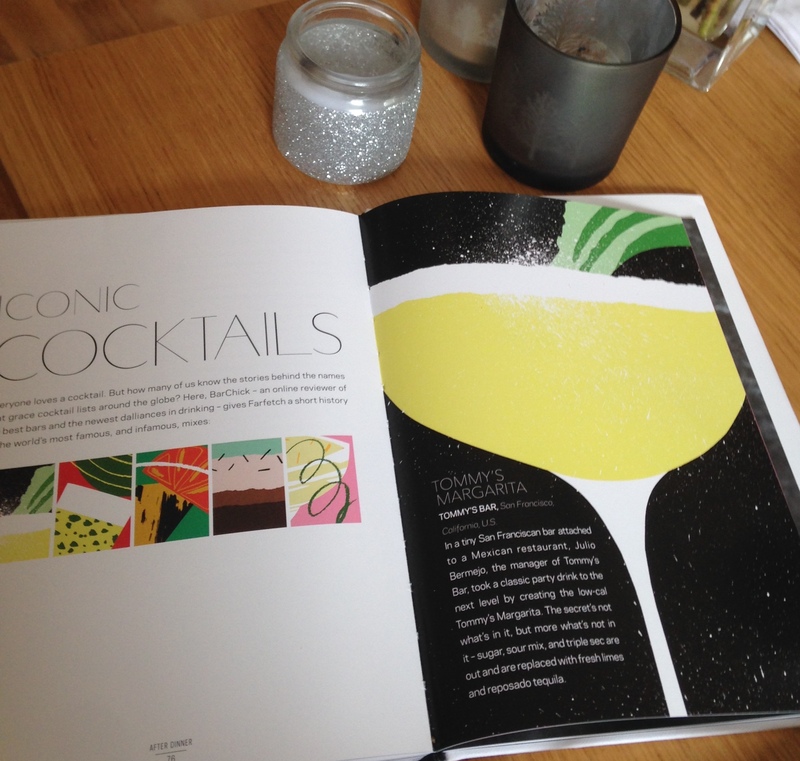 But I couldn’t resist getting stuck straight into this book from Farfetch and was delighted to be offered an exclusive look at it because it is right up my street! 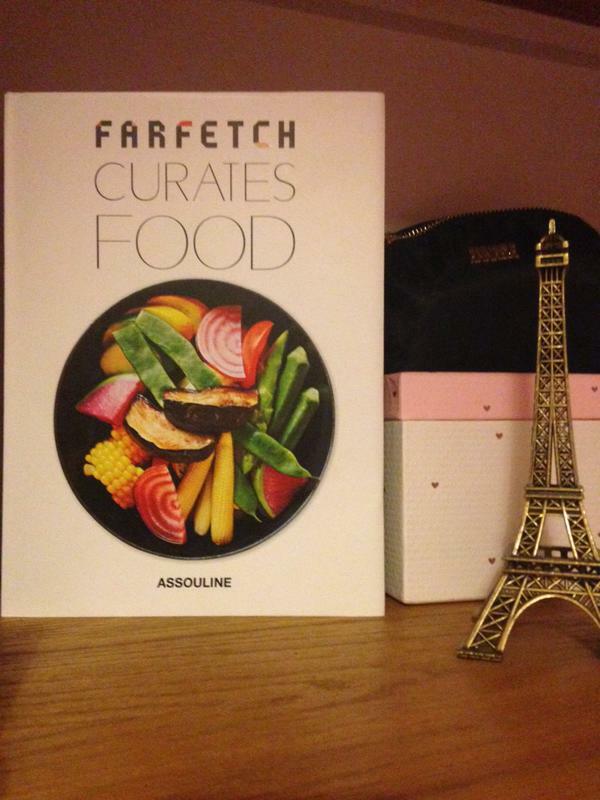 Farfetch Curates Food is the first in the series of books which look into the creative fields that are synergistic with fashion. The grand alliance between fashion boutique market Farfetch and publishers Prosper and Martine Assuline brings a book with a unique twist. Fashion and food is brought together through the exploration of all things trendy in the modern edible world with distinctive viewpoints and recommendations from both the fashion-trained and tastemakers. Just browse through your social media sites and you can see exactly how food and drink has become such a huge trend. Just scrolling down my instagram feed this morning, amongst the cringe mirror selfies and beach hot dog legs, I saw all these artfully styled stacks of pancakes, plates of huge hangover breakfasts and healthy smoothie creations. I love how this book mirrors this popular ‘foodstagramming’ phenomenon with the bright, bold eye-grabbing pictures of delicately styled dishes of cuisine from around the world. Not only does it make you want to devour the book with a knife and fork, it looks as if all these food shots could adorn the walls of an art gallery. I’ve never been the best cook- it’s something i’m trying to work on but I have always loved to eat! So reading this book did make me rather hungry and also quite inspired to be more creative and inventive with my cooking. Hey who knows… I may even host my own dinner party and serve my guests some of Tommy’s margaritas. It’s always an awesome feeling when you find a new favourite restaurant close to home, somewhere you least expect or where none of your friends have heard of. It means you have a regular hot spot where you know you can get good food and a special place to take your friends or to celebrate special occasions. Well what I love about this book is that it has gone out and found all the best restaurants to visit across the globe to save us from trying any bad ones first. Throughout the book, charismatic enthusiasts from all over the world share their own distinctive viewpoints on food, offering recommendations of restaurants to try around the world, what to order and what to wear when you make your visit! I have picked out the top meals they have now tempted me to want to try! I’ve been to Spain soooo many times and I am still yet to try the famous Churros Con Chocolat. I’m a chocoholic AND I can speak the lingo (I think I got it right) so I really don’t know how I haven’t eaten any. Well… thanks to Alejandro Gutierrez, the PR manager and buyer at Elite, I am now even more excited to visit Marbella this year and will definitely be stopping off at the recommended hot spot for the sweet treats! Great to know they are the perfect hangover cure to! The well-known shopping destination for Marbella’s cosmopolitan crowd, was one of the first multibrand department stores and offers some gorgeous goods from Victoria Beckham sunnies to statement retro clutches. The high-street blogger and food enthusiast, Man Repeller, has given me a great insight for when I achieve my dream of living in New York City. Now I know exactly where to grab a healthy lunch in the big apple whilst following her recommended dress code. My god I wish I had this fashionista’s amazing life! I will be sure to follow her tips and wear my fanciest sunnies while i’m eating my oatmeal in The Butcher’s Daughter. If you’re going to eat cake you have to do it properly and have it in Paris. Oh my god I remember walking down the streets of the gorgeous city two years ago and just drooling at the windows of all of the patisseries. The chefs over there really do help the city live up to its name as the ‘world’s pastry capital’. Their eclairs and strawberry tarts are divine! Reading what some of the pastry chefs of the capital have to say is fascinating and the way it’s written in the book gives you so much detail of what these culinary enthusiasts are like- in a real journalistic way. 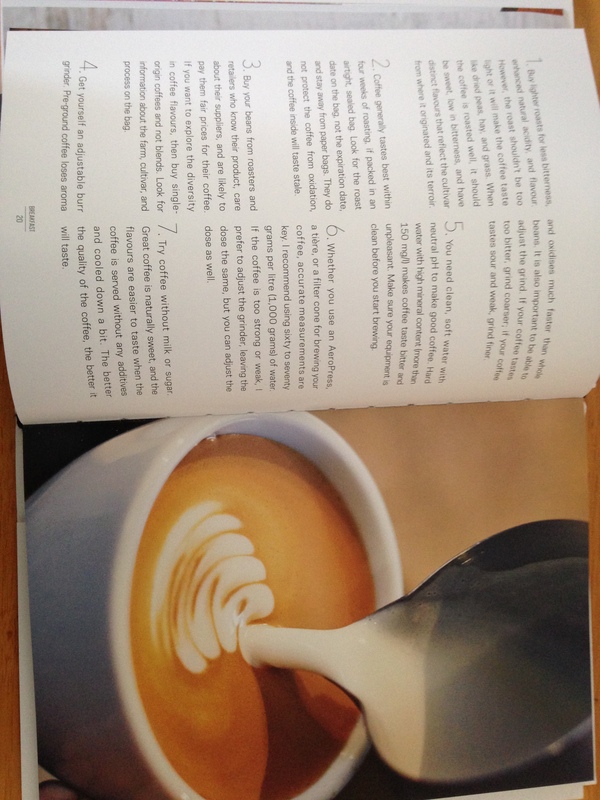 For those dreaded Monday mornings- everyone should take note of The steps to the perfect cup of coffee. I will also take away this message with me: There is no better way to explore a new geographic environment and get a sense of different cultures than to taste the traditional cuisines. I will definitely take this on board when I go jet-setting around the globe and hopefully end up in some of the spots recommended by top fashionistas and chefs… but I think I will still stray from tasting any fried scorpions or insects no matter what the country’s delicacies are! There is so much more to learn from this book and I really do recommend giving it a read especially if you like to jet set around the globe, try the latest trends and like to be inspired by arty and foodie pictures. Yay she’s done it again, The Saturdays’ gorgeous Mollie King has launched her third Oasis collection. And this Loved By Mollie range features all things pretty, pastel and floral for the Spring/Summer season. The fashionista’s last two collections were a big hit becoming instant best-sellers for Oasis, and by the looks of the items in this season’s new instalment, everyone will be rushing to get the latest looks. The 15 key pieces from the high street store’s spring/summer collection are all must-haves for your new season wardrobe. You should definitely check out the new collaboration and if you’re like me… you will probably be tempted to treat yourself to one or two of the gorgeous pieces. I’ve loved all of the Loved By Mollie collections and I so hope my style crush brings out another one next year! 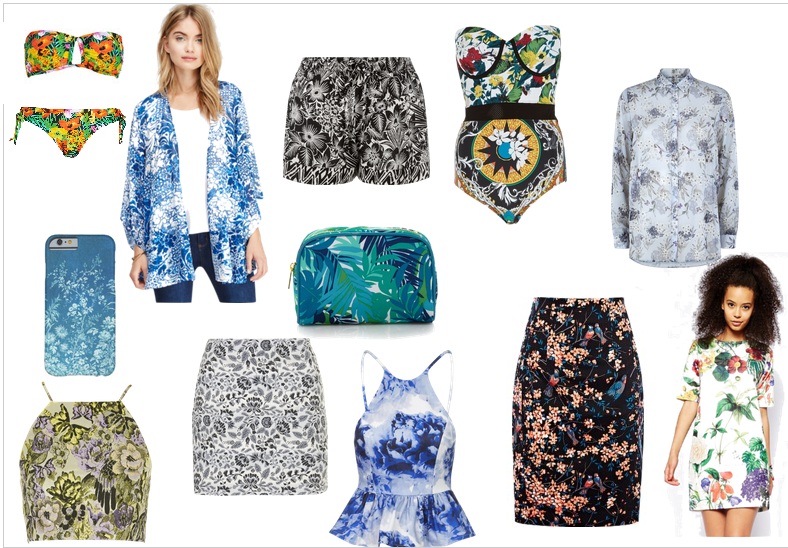 The Spring/Summer season is bringing the inspiration of gardens into your wardrobe with Botanical prints being the new hot trend- expected to stay in fashion for a long time. The Botanical trend includes gorgeous patterning and printing of flowers, trees, fauna, birds and animals, creating a feminine and interesting statement look. After stunning everyone when they made their mark on the catwalk, botanical printed garments from designer brands like Gucci and Stella McCartney’s Spring/Summer collections show these prints are going to make it big this season! From statement dresses to matching separates and accessories- you can now see the bold print everywhere on the highstreet and online. Whether your style is more suited to the vibrant hues, the natural prints, fresh floral digital prints, or a camouflage of jungle prints- this hot trend is sure to match anyone’s personality and bring some va va voom to an outfit. So keep in mind this hottest trend of the upcoming season when buying your holiday and summer apparel. Whenever I’m shopping I can’t help but touch and stroke bags and fabrics that look like they have a unique texture and for this Spring/Summer season shops are full of them. Tactile textures like leather, creamy suede, tassels and fringing have the ability transform your look from biker gal, to hippy chick right through to rocking up at a Great Gatsby party! They are a great asset to any fashionista’s wardrobe. 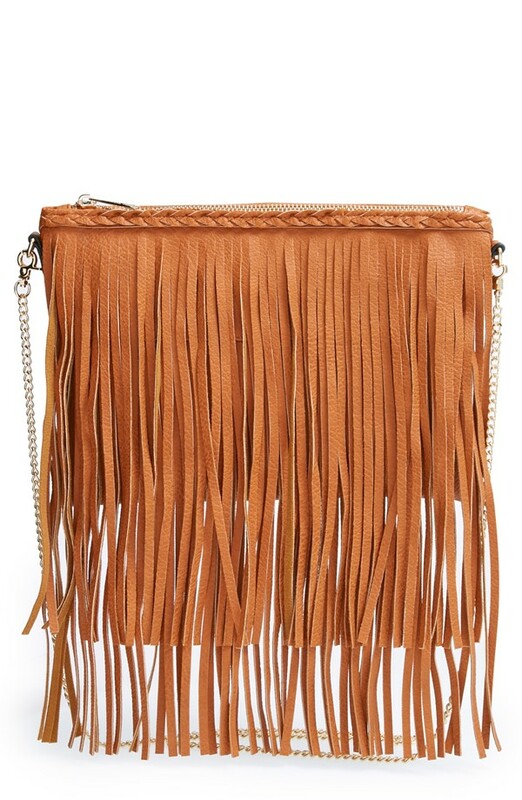 Fringe has always been one of the most steady and never changing fashion trends of almost any season, always coming up with some new interpretations and design combinations- some made with interesting textures like suede or leather on shoes tops and bags! 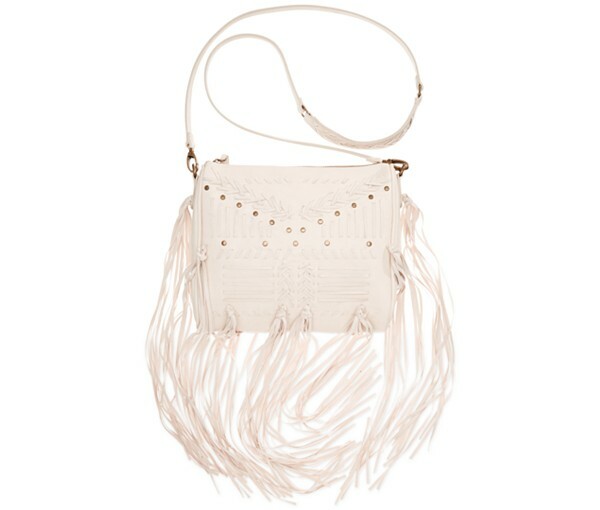 Fringe detailing is even more powerful this season- bringing a boho/wild west style to any outfit. Apart from the season’s hottest trend of using fringe details, flirty and playful tassels also add fab detailing to spice up and glam up even the simplest pieces. 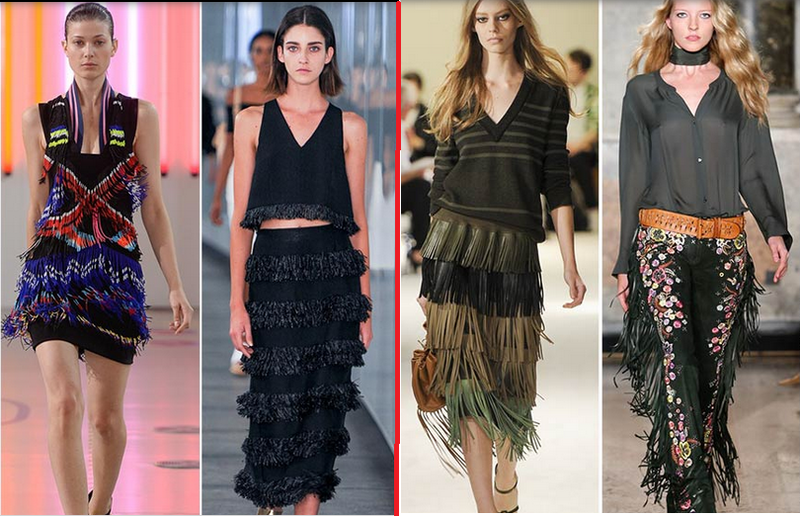 So if it’s not fringe, then it’s tassels, and you are going to see a lot of creative interpretations of the tassel trend this Spring- as you have on the Spring/Summer 2015 catwalks! Leather is amazing- It can be worn as just a small accent to make any off-duty minimalist outfits look spectacular, or be the centerpiece fabric to create a statement-outfit. The tactile fabric has been spotted in the major fashion capitals during the recent fashion weeks too- so get some of it in your wardrobe for this Spring/Summer 2015! The classy trend- sold both in the traditional shades and bright hues for attracting extra attention- is a must-have for the fans of the luxury and the classy style. Compete with Kim and Rita with your own take on pink latex with this PU salmon mini dress from Missguided at £35. Who wears the look best now? Go for a bold statement outfit by mixing the leather and tassel trends together. 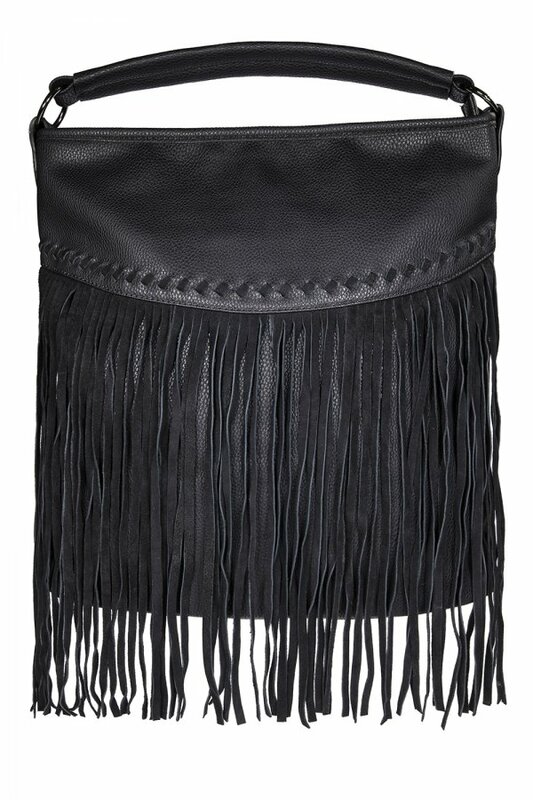 I love this faux leather tassel waterfall jacket from Missguided at £40. Such a bargain! 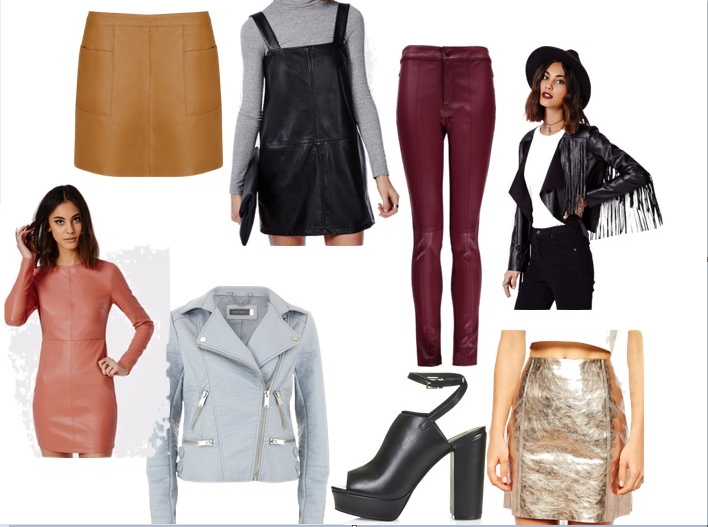 Pieces with suede textures are by far one of the trendiest and catchiest looks this season. Whether the tactile fabric is on outerwear like biker jackets and tailored coats, or basic garments like mini skirts and shoes, it creates a chic statement look. In the shops there are lots of subtle suede garments in brown shades and creamy pastel colours- perfect for this time of year, while bright red and orange tones are also on offer to create bold statement looks. 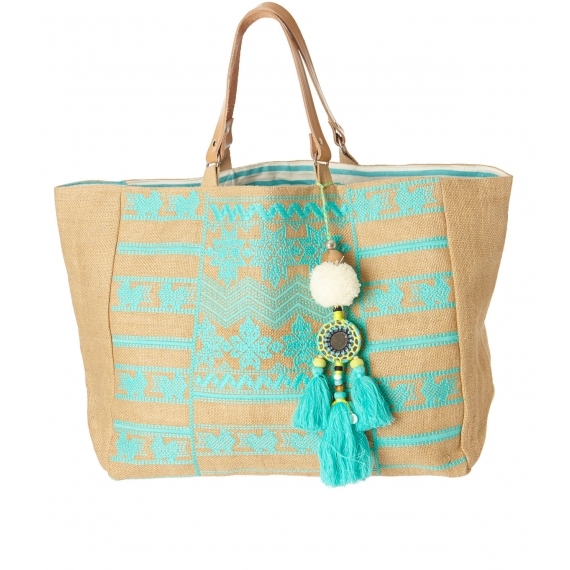 Bring the tassel and suede trends together with this grey duffle bag from Warehouse at £40– perfect for holding all your key essentials and rocking a hot summers day at a festival. On my daily commutes to work and whenever i’ve been out shopping I’ve seen so many amazing tasseled bags and been dying to know where they’re from. 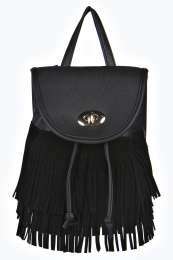 I think a tasseled bag is definitely an essential for your wardrobe especially as you can rock the style every season!